Pain Consultants of Atlanta, LLC (“PCA”) is one of the leading pain management medical services firms in Georgia. In 2004 a decision was made by the owners to spin off PCA from its parent company. PCA’s management team recognized the need for financial leadership during this time to help them navigate through the spin off and become a successful stand-alone company. PCA engaged Trillium to provide recurring CFO leadership services that would assist in the transition to an independent company. Trillium developed a detailed plan with specific deliverables to meet the transition deadlines. Established a billing department and acquired financing for the billing system and computer hardware necessary for successful in-house financial operations. 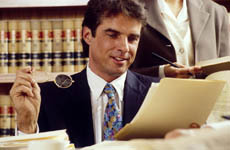 An internal billing and collections department allows for greater control and is designed for increased reimbursements. Outsourced accounting functions to a bookkeeping firm, allowing the company to remain focused on their core business, instead of adding fixed operational overhead. Outsourcing also provided a scalable accounting system that PCA can use during its growth phases. Created and implemented a detailed transition plan to migrate PCA’s employee benefit plans from the parent company in a manner that protected the employee’s current level of benefits. PCA also saw an opportunity to grow by opening a new clinic in Atlanta, Georgia, but was unsure about expanding prior to the completion of their buy-out. The management team determined that they needed to secure interim financing in order to move forward with the expansion.